In the world of multibillion dollar defense contracts, India stands out. The country -- the world’s biggest arms importer, with an annual defense budget of $43 billion -- has been dangling a potential $15 billion fighter jet deal for more than a decade, with Lockheed and Boeing, the world’s two largest contractors, vying for the chance to refit India’s air force. Although drawn-out negotiations aren’t uncommon in the arms world, India took 32 years to seal a deal with the US to buy 145 howitzers from BAE Systems Plc, with arcane procurement rules and shifting specifications contributing to the lengthy delays. 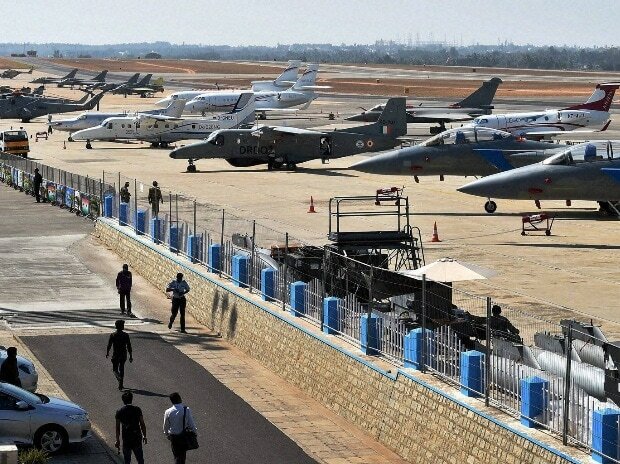 A wary India, which is hosting its flagship air show this week, has also derailed plans by Lockheed and Boeing to breathe new life into their aging F-16 and F-18 programs. India is still seeking to replace its Soviet-era MiG aircraft, while countries such as Japan and South Korea have acquired modern stealth fighters such as Lockheed’s F-35. One recent example of the muddle: After initially choosing Dassault’s Rafale aircraft, the Indian government scrapped the deal to buy 126 planes in 2015. Instead, Modi opted to buy 36 of the French jets, leaving an order for 110 more still open to contractors. His decision has come under intense scrutiny and criticism by his political detractors months before national elections. In a report this month, India’s Comptroller and Auditor General said the Indian Air Force “needs to revisit the entire process of acquisition,” because the system was overly-complicated and inefficient. He even undermined his own “Make in India” push to boost domestic defense production by canceling the original Rafale purchase -- which would have seen some jets made in India -- to order made-in-France jets on a slightly faster timeline. And though the auditor’s report cleared Modi’s handling of the purchase, the opposition alleged rules were violated in that process and that his new deal bypassed state-owned Hindustan Aeronautics Ltd., which was originally contracted to build most of the jets locally. Defense procurement and modernization have become so mixed up with domestic politics in India that foreign countries and firms may be reluctant to enter into agreements, said Harsh Pant, an international relations professor at King’s College London.